Ultrarunning Magazine just returned from The Running Event (TRE), an annual industry trade show that provides sneak peeks of all the cool things in the product pipeline from various manufacturers. Below is just a sampling of the gear we’re waiting to put to the test in 2018. Other changes to the Olympus include a more breathable upper, plus a flared heel area and center outsole groove for increased stability and traction. Weight is 10.7 oz for men, 8.2 oz for women. The Olympus 3.0 is available in Summer 2018 and retails for $150. 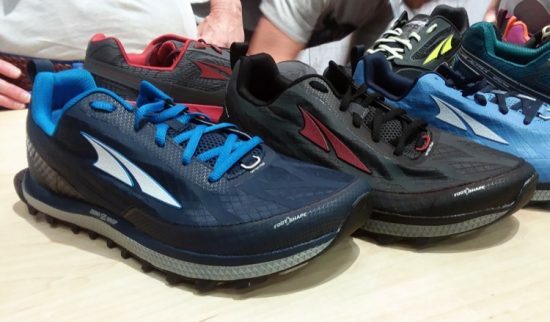 The Altra Superior 3.5 weighs in 1 oz lighter than its predecessor, with an updated mesh upper and gripper outsole rubber. It adds Altra’s four point gaiter trap for increased protection from outside grit. The Superior 3.5 weighs 8.7 oz for men, 7.5 oz for women, and will be released this month at an MSRP of $110. 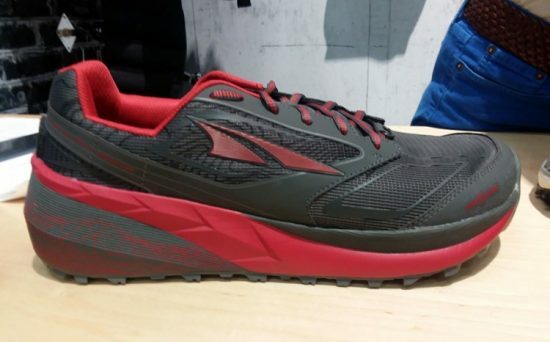 The Altra King MT 1.5 is technically developed for obstacle races and fell running, but its mastery of soft ground and muddy conditions makes it a compelling choice for trail runners also. The 1.5 is lighter than its predecessor, with a neoprene tongue and repositioned midfoot Velcro strap for improved comfort. It has a built in full length stone guard and Vibram MegaGrip outsole rubber to keep you solid underfoot, and some very cleverly positioned drainage vents around the forefoot to help with quicker water removal after immersion. The King MT 1.5 has a stack height of 19mm in heel and weighs 8.5 oz for men, 7.0 oz for women. It is available in Spring 2018 for $140. 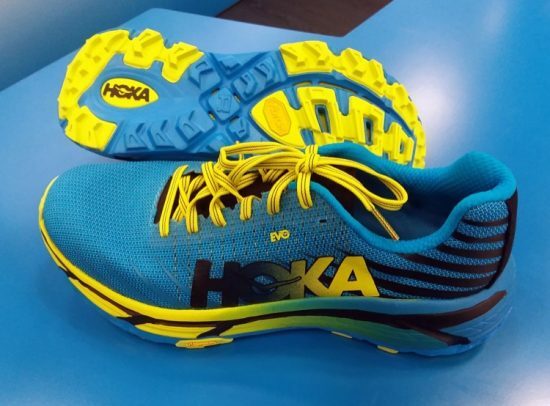 Hoka’s new Torrent model is created as a trail racer, aiming for a combination of cushioning and agility. It features a lightweight PROFLY dual density midsole material, and a protective TPU wraparound in the toe box and forefoot. Midsole drop is 5mm, with stack heights of 23mm heel / 18 forefoot for men, 21/16 for women. 5mm lugs and high traction rubber provide stable footing. Weight is 9.0 oz for men, 7.4 oz for women, The Torrent is available in June 2018 for $120. The Hoka EVO Mafate is built for endurance trail running, with a highly responsive R-BOUND midsole material and Meta-Rocker geometry for efficient heel to toe transitions. MATRYX material in the upper uses Kevlar wires for improved hold and exceptional durability. 5mm lugs and Vibram MegaGrip rubber provide traction in all conditions. Stack heights are 33mm/29mm for men, and 31mm/27mm for women, and weights are 9.6 oz M and 8.5 oz W. The EVO Mafate is available in July 2018 for $170. Adidas is extending its conservation-focused Parley line to trail running models in 2018. Parley for the Oceans is a collaborative movement of manufacturers, product designers, and creative thinkers to address major threats towards our oceans. Adidas is a founding member of this program, and its Parley models use recycled ocean plastics for their upper materials. 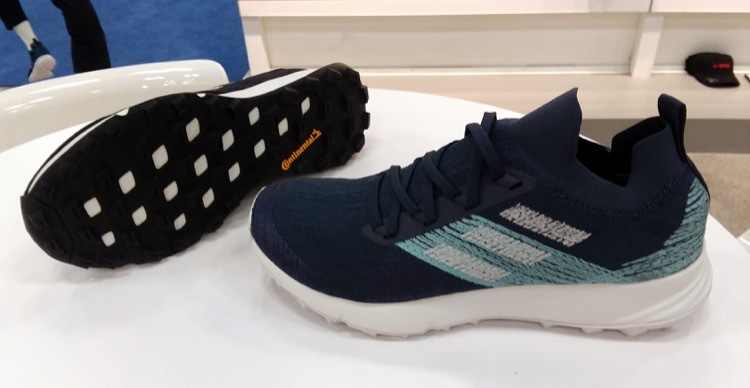 The Terrex Two Parley features an upper of 100% recycled content, fabricated into a knit mesh material that is remarkably soft and highly breathable – it feels comparable to any other knit uppers on the market. The outsole still uses durable Continental rubber, in a new distribution pattern with weight saving gaps. The Terrex Two Parley is a 5mm drop shoe with stack heights of 24mm/19mm, and weighs 10.6 oz for men and 8.8 oz for women. It is available in Fall 2018 for $140. The PureGrit line has a loyal following among trail runners who like a relatively flat and low profile ride, but the company can’t seem to make up its mind about what to do with the tongue. The PureGrit 7 goes back to the burrito wrap tongue and offset laces that early iterations have, which was replaced by a traditional tongue and midline lace system on the PureGrit 6. Aside from that, the upper remains largely unchanged, and the real revision to this shoe is the outsole, which shifts from densely packed small lugs to widely spaced larger lugs. 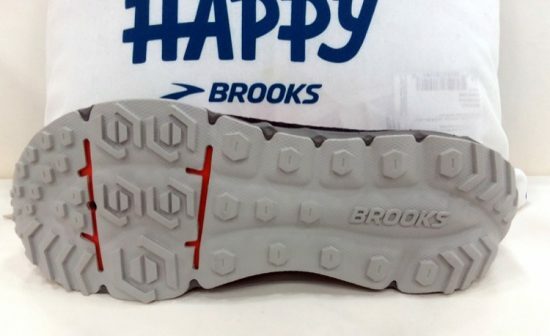 The intent is to make the outsole shed mud more easily, and provide more flexibility along with longitudinal flex grooves. 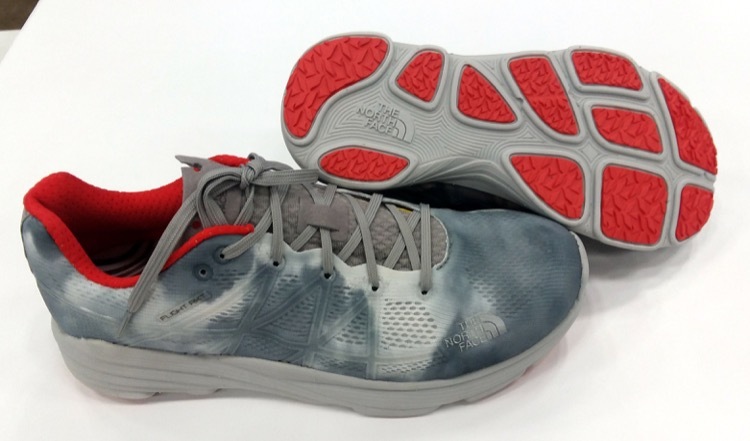 A forefoot rock plate provides added protection and comfort. The PureGrit 7 has a 4mm drop with stack heights of 19mm/15mm. Weight is 9.6 oz for men and 8.7 oz for women. This shoe is available in July 2018 with an MSRP of $120. 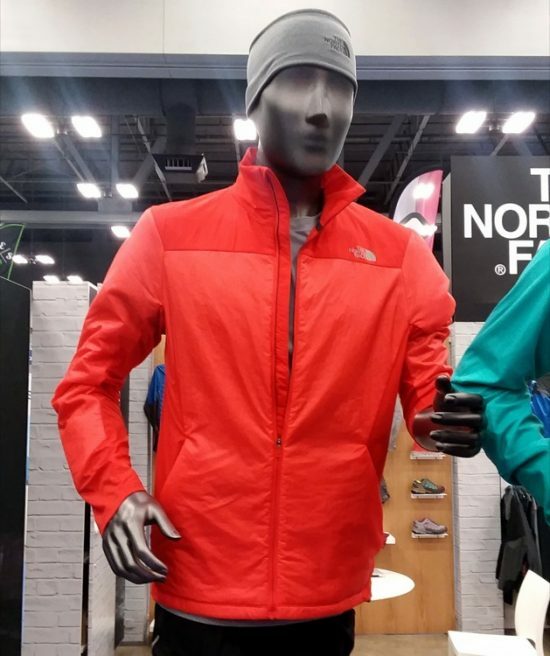 This fall The North Face introduced Ventrix technology, which adapts to the wearer’s body movement to actively regulate body temperature by balancing warmth and breathability. (Stay tuned for our Ventrix jacket review in the next few weeks.) For Fall 2018, TNF will combine this Ventrix technology in its Flight Series apparel, which is made for light and fast high performance running. The result is the Flight Ventrix Jacket, an exceptionally soft and light jacket that has a pillowy feel and provides a balance of warmth, protection, and breathability. It has high CFM (a measure of air permeability) on the inside for breathability, low CFM in front for wind resistance, and side stretch panels for freedom of movement. The Flight Ventrix jacket is available in Fall 2018 for $199. 2018 will also see a large overhaul of TNF’s trail running shoe line, with a renewed focus on light weight and high performance. 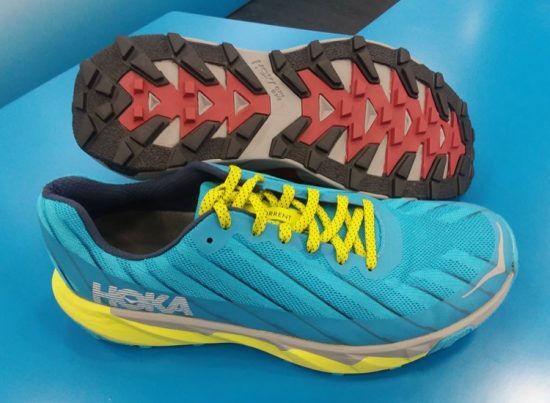 The Flight RKT shoe was developed with Rob Krar, and is a sleek model designed for fast training or race efforts. 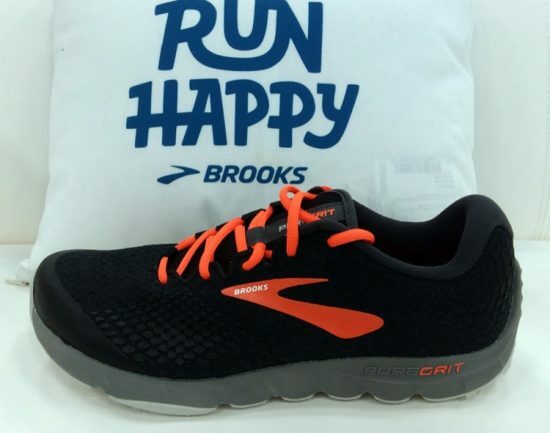 It has a super thin and breathable engineered mesh upper, and new FastFoam midsole material that combines a soft responsive EVA core with highly resilient EVA on the perimeter. A podular outsole rubber system provides flexibility, and the outsole lugging is very shallow. The Flight RKT has an 8mm offset with a low profile of 18mm/10, and weighs 8 oz for men and 6.5 oz for women. TNF estimates a life span of 175-200 miles before losing traction or midsole support, so this isn’t your everyday trainer, but it will help you add speed on days you really need it. The Flight RKT is available in Spring 2018 for $150. If you haven’t heard of Raidlight yet, rest assured that you will in 2018. The French company has a 20-year history in mountain sports from trail running to ski mountaineering, and they made their niche through lightweight and highly functional product development. Their diverse product line includes shoes, apparel, hydration packs, poles, and even camping gear. 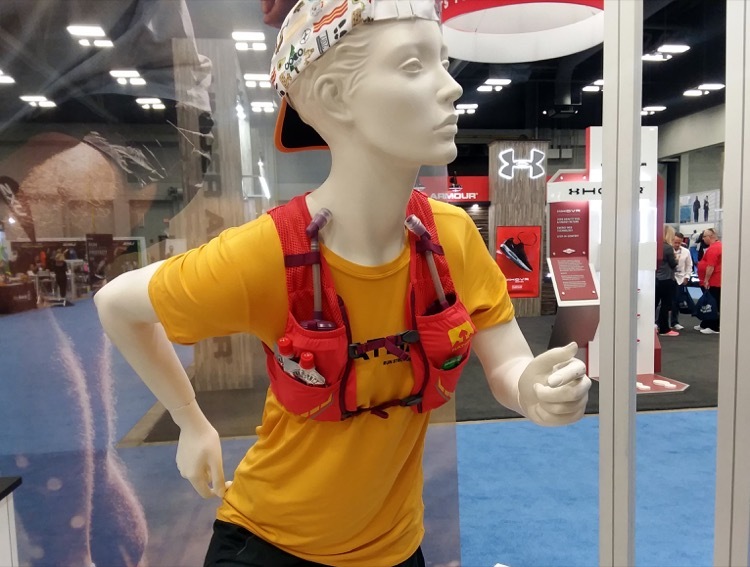 Selections we will be testing next year include the Responsiv hydration vest line, which comes in storage options of 3L, 10L, 18L, or 25L, all of which use two 600ml flasks for fluid storage in front. 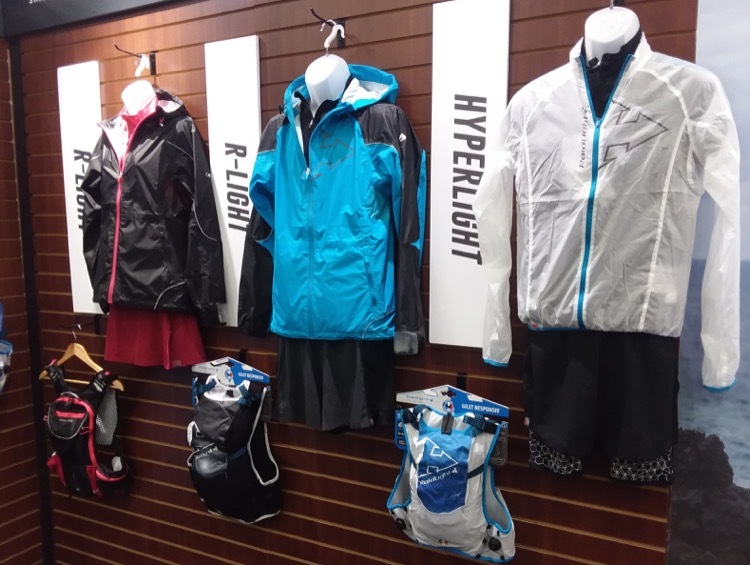 Raidlight’s 2018 apparel line has a number of compelling options including a five-pocket short for long trail days, a button-up trail shirt using a floral-patterned performance fabric, and a stretch waterproof jacket that weighs a mere 170g. CamelBak continues to streamline and strip down its hydration vest line, and the Nano Vest is the most lightweight offering from the company yet. 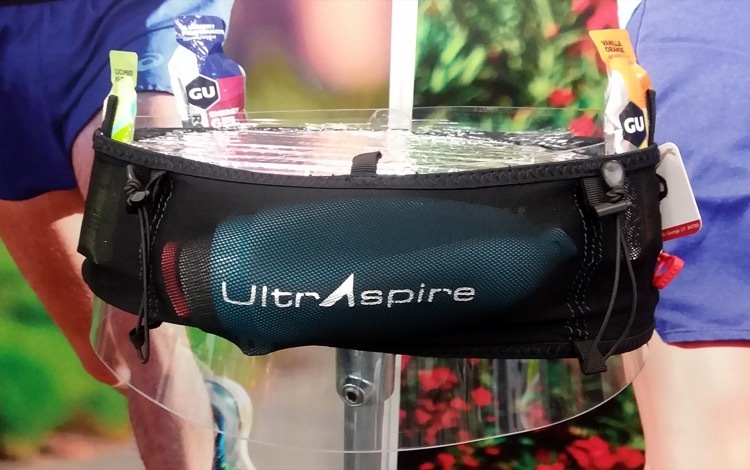 Fluid is stored in two 500ml flasks in front, and the flask pockets can also accommodate the Nano Handheld (sold separately), a strap and pocket item for runners who like to keep the flask in their hand for a while before putting it back in the pocket. The Nano Vest is a unisex design that is available in January 2018 for $100. 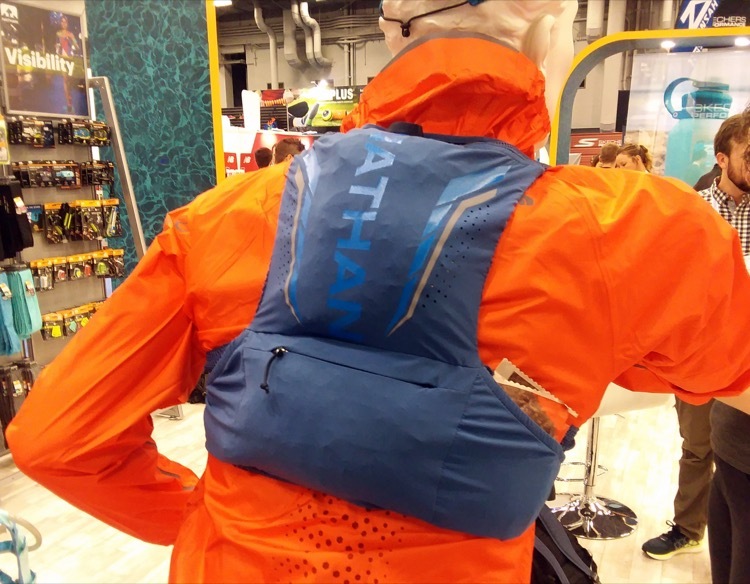 Nathan continues its collaborative efforts with elite athletes in hydration pack design, an approach that won them many accolades for last year’s Vapor (Rob) Krar and Vapor (Stephanie) Howe vests. This time they have worked with Zach Miller and Maggie Guterl to create the Vapor Zach and Vapor Mag – names which narrowly prevailed over company sentiment for “Zach Pak and Mag Bag” – which are built for minimalist performance. There is no reservoir capacity in either pack, which utilize two 12-oz Hydrapak flasks in front, leaving the entire rear portion for cargo storage. The men’s and women’s versions are identical aside from color schemes and sizing; they are available in Spring 2018 for $125. Waist cargo belts seem to be an emerging trend in 2018, and one of the most attractive options looks to be UltrAspire’s Fitted Race Belt, which has five compartments of various sizes, including one large enough for the company’s Formula 250 flask or another small drink flask that can be securely sealed (since it lays horizontally). 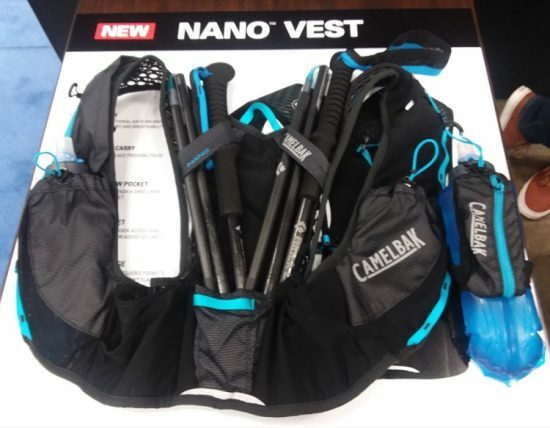 There is a vertical zipper side pocket for valuables, and pole attachments and webbing to hold apparel like jackets or gloves if needed. The Fitted Race Belt is available in Spring 2018 for $32.95. 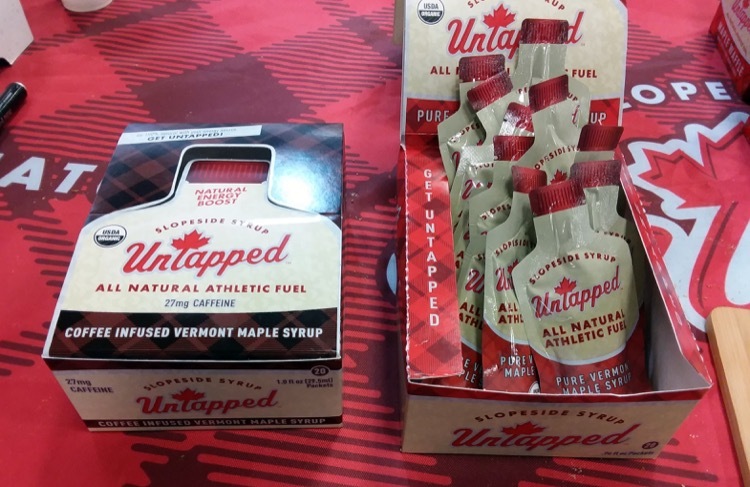 One surprise find at TRE was Untapped, a Vermont-based company who make energy fuel with all sweetener content derived from pure maple syrup. The company was founded via Kickstarter in 2014, and distinguishes itself through the use of maple sugar, which is naturally low glycemic, water soluble, and easily digestible. Natural maple syrup also has amino acids, calcium, potassium, zinc, and more than 50 antioxidants. The company started with energy waffles in three flavors – maple, coffee, and raspberry – as well as a gel-like syrup packet. In 2018 they will debut a new coffee-infused gel which contains 27mg of caffeine in each packet, which is comparable to about half of an espresso. 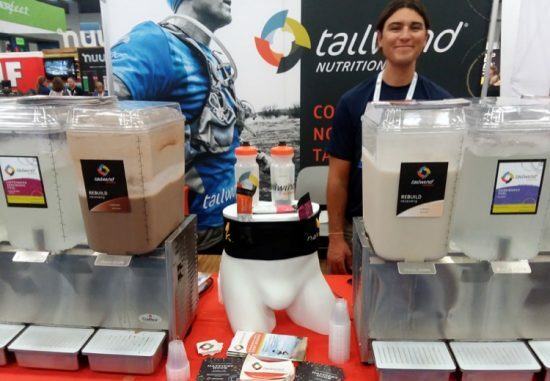 Tailwind Nutrition used TRE to debut its new recovery drink called Rebuild, which is an all-natural vegan, gluten-free mix that will be available in February 2018. Rebuild is derived from rice protein, is free of GMOs, dairy, soy, or gluten, and is formulated with the necessary carbohydrates, amino acids, and electrolytes required to replace depleted glycogen stores, balance metabolism, and rebuild muscle fibers. Rebuild comes in stick packets similar to its standard drink mixes, and comes in chocolate or vanilla flavors. It is designed to be mixed with water – and both flavors taste great by this method – but it can also be stirred into milk or smoothies for an even more delectable recovery potion. The favorite anti-chafing product among many Ultrarunning Magazine staffers just released a vegan version, which is available in tub format but not yet (or maybe ever?) in stick form. This product was inspired by legendary ultrarunner Catra Corbett, a dedicated vegan who requested a product absent of beeswax, which some vegans are opposed to using. The new formulation uses only coconut oil, cocoa butter and vitamin E oil, and its consistency requires some stirring on occasion – which is why it might not work as a stick – but otherwise it works just as effectively as the original. Vegan SNB is available on the company website in a 2 oz tub for $13.95. 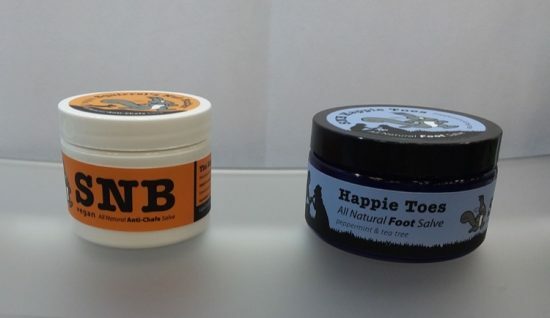 Another new product from SNB is Happie Toes foot restoration salve. Company founder Chris Thornley pointed out that the product isn’t misspelled; Happie is the name of the Thornley family’s black lab. This product is a formulation of kokum butter, peppermint oil, tea tree oil, and Vitamin E. Rub it on cracked or calloused feet before you go to bed, and the product softens and repairs your skin overnight. Check this space throughout 2018 for reviews of these and many other cool new gear offerings! Previous ArticleCT Trailmixers Fall Fling 400: One More Loop! 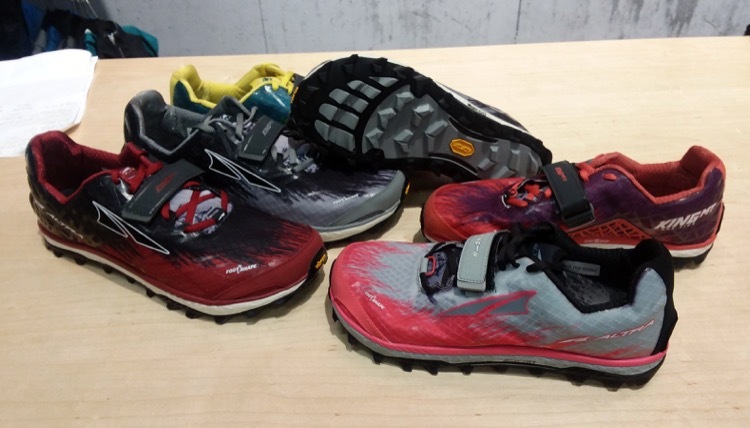 Thanks for including Altra in the review! A few of the weights you were given were off. Superior should be 8.7oz Men, 7.5oz Women and Timp should be 9.6oz Men, 8.4oz Women. Thanks! Golden: Thanks for the clarification!